Rent a Bouquet for your special day! Full Circle Designs is owned and operated by Local Fort Myers Designer Jan Clark. 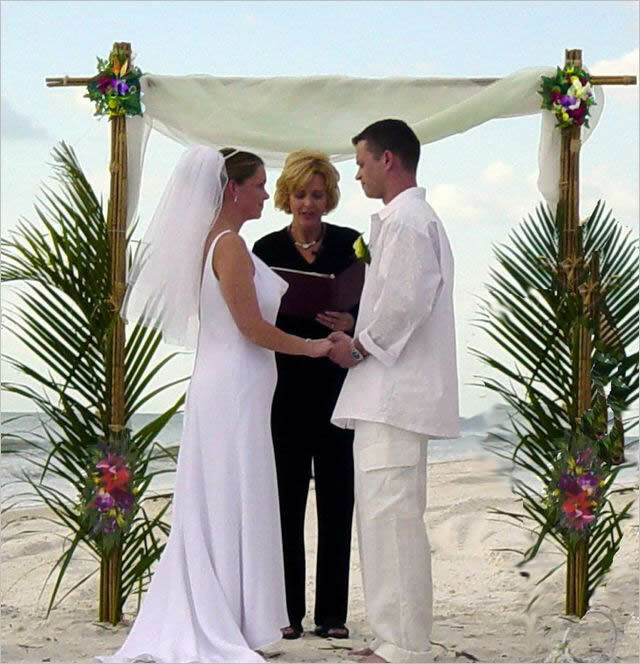 Rent our arches for your special day. Call for prices. They come with the silk flowers. You pick up and set up to keep down the prices. 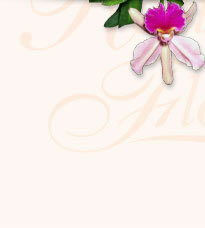 We create a variety of Silk Floral decorations for weddings. Realistic silks flowers serve a number of options for today's Bride. 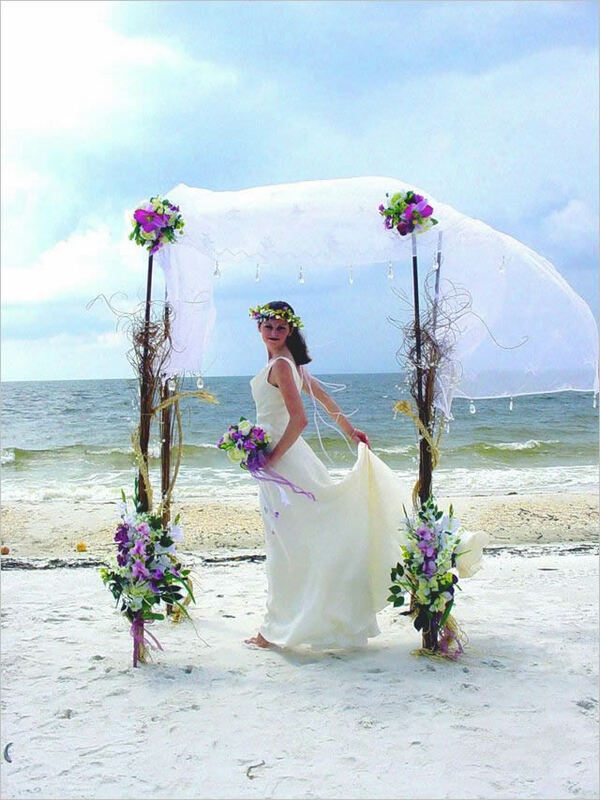 Silks flowers can be rented at a fraction of the cost of real flowers and since most weddings today are held outside silk flowers hold up better in the Hot Florida sun. 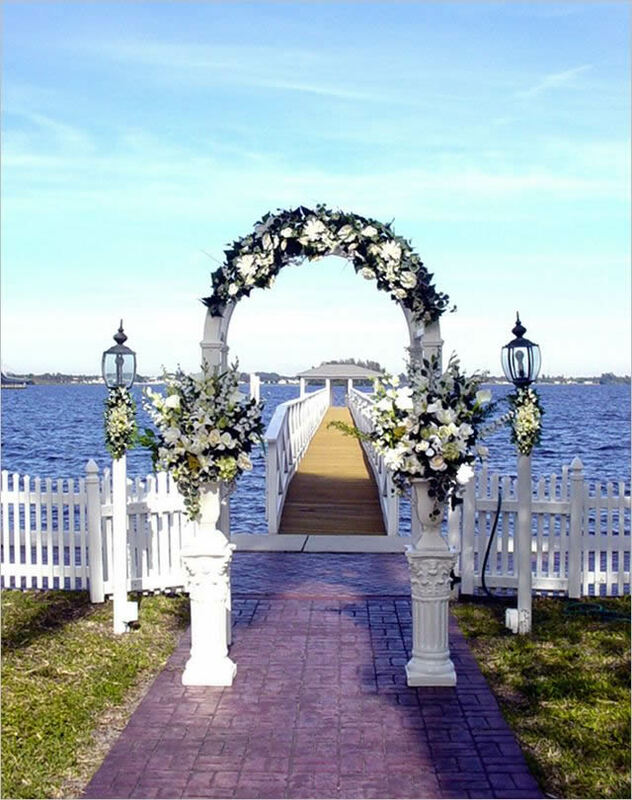 Because every bride is different we have a vast variety of arches, canopies and huppas. Everything from Traditional, Tropical, Country, Eclectic or a custom design can be created especially for you. Other rentals. Why not rent your table decorations? We will decorate your buffet, head, cake, sweet heart or gift table. We provide the designer look at a budget price. Once again, for a fraction of the price of real flowers. 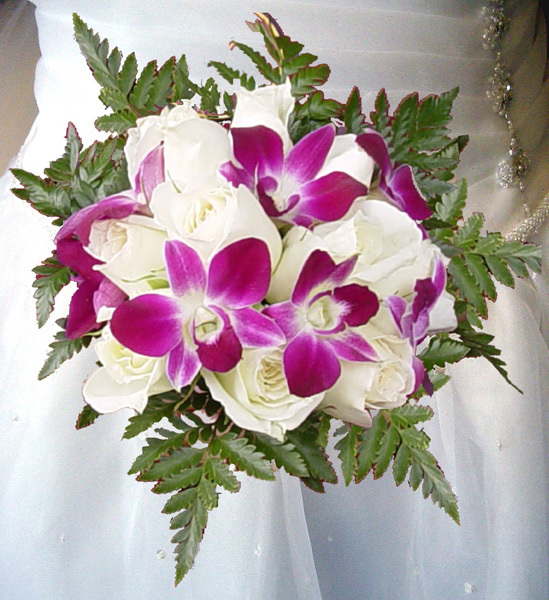 We can create a custom silk bouquet for you to rent. Having a Party? Let us decorate for you and your quests. We have decorated for the grand opening of a real estate agency, a corporate Christmas Party, a Fourth of July Luau and more. Have a theme? Country BBQ, Halloween Party? Just ask.